Vehicle Mounted Solar Panels - Mobile Solar Power Made Easy! 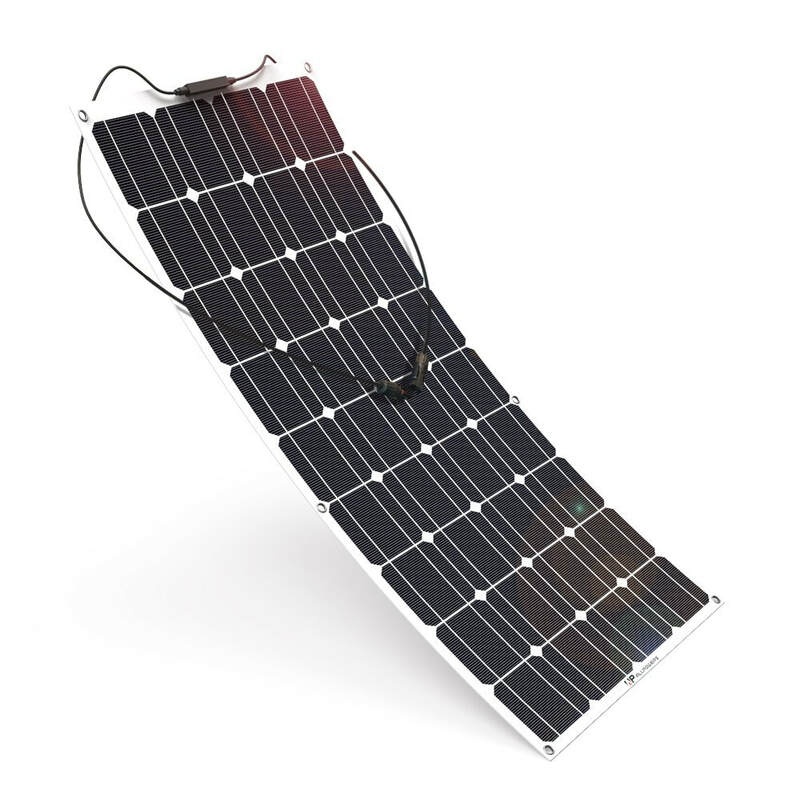 100 watt solar panels are a great size for vehicle mounted systems because they are extremely strong, easy to mount (try lifting a 300 watt panel onto a roof, its not fun) and they are easy to source locally or on amazon.com. ​You can use larger panels designed to work with houses, but they will be harder to source and not as strong as a 100 watt solar panel. If you use a large house panel on your vehicle mounted system, make sure the aluminum frame of the panel is double walled aluminum. Do not mount large glass panels to your roof unless you have a strong roof rack. 100 watt panels are inherently strong due to their size and are the best size to mount to the roof of a vehicle. This solar panel is my absolute favorite!! It is cheaper than most solar panels and produces more power than any of my 100w monocrystalline panels. This is my second favorite panel because it has the same output as the rich solar panel above, but has slightly better rails and craftsmanship. It is practically identical to the renogy poly panel (renogy and hqst are owned by the same person), but 20 dollars cheaper. Great deal! Aerodynamic efficiency (they are designed to be flush mounted on your roof, which means better gas mileage for your vehicle. They like to over heat. If you are in arizona, they will die in less than a year. If you use them in a cool environment, 5-10 years is average. I recommend buying a warranty with flexible solar panels because they like to fail so often. ​extremely high quality, and you will love them!